If you are a keen design-lover looking to buy an external hard drive which guarantees both good performance and outward elegance and class, then LaCie Sphère is the right choice. 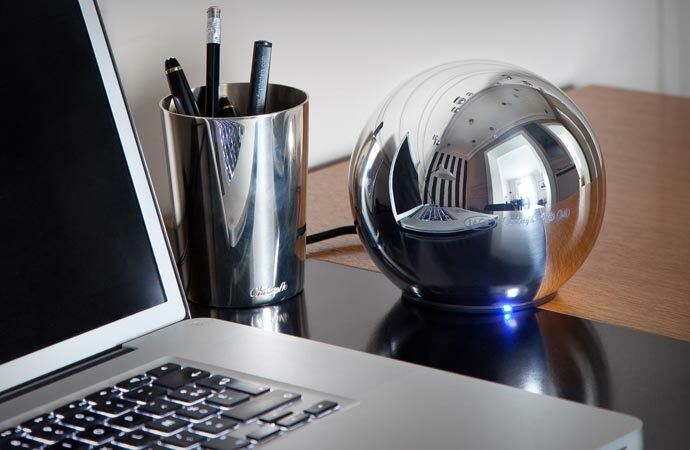 The spherical silvered hard drive will most certainly add prestige and luxury to your office or home. 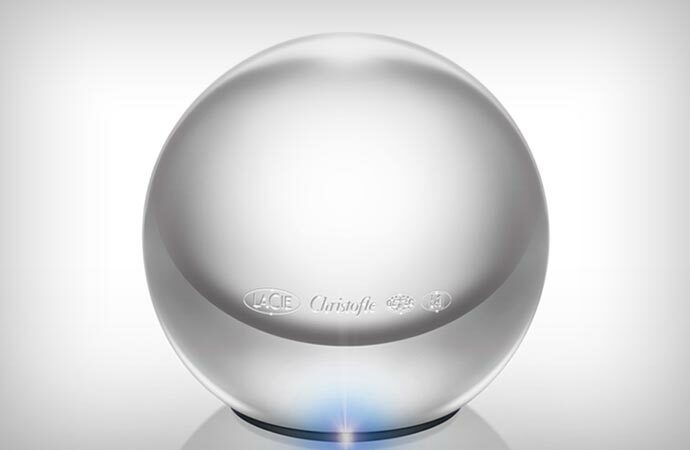 Silver-plated in France by Christofle, the renowned silversmith with almost two centuries’ long tradition of manufacturing fine silver and silver accessories, the LaCie Sphère offers an extra 1TB of storage space to add to your personal or office computer. The drive features a single high-speed USB 3.0 cable at the bottom that guarantees fast and easy file transfers and backups and which at the same time powers the hard drive, canceling out the need for any other power or connection cable. Nevertheless, the main feature of the latest LaCie’s external drive is not so much the hardware as it is the distinguished design crafted to grab attention and deliver a lasting, awe-inspiring impression. 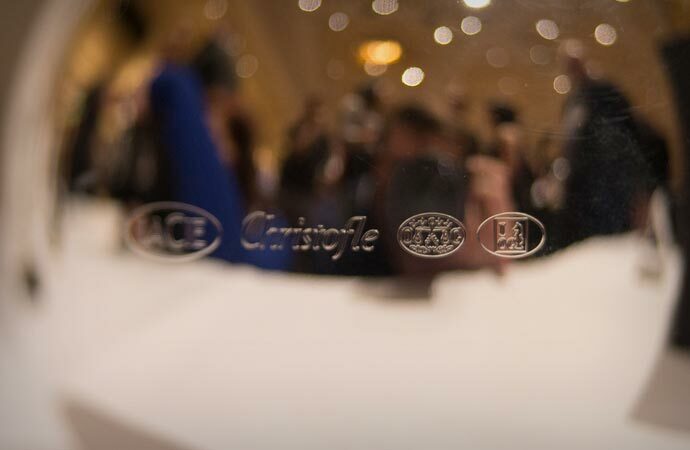 The hard drive is encased in a reflective, mirror-like surface of the silver–plated steel ball measuring 134 x 134 x 125mm and polished to a perfect shine, with the unobtrusive hallmark signatures engraved on the side. Although seemingly rather hefty, the silvered shell weighs as few as around 500 grams, and its only flaw is the susceptibility to stains and smears if frequently touched.